Very polite, warning each other like that. Very civil. They may not have their assault rifles, but they still have their… tasers? 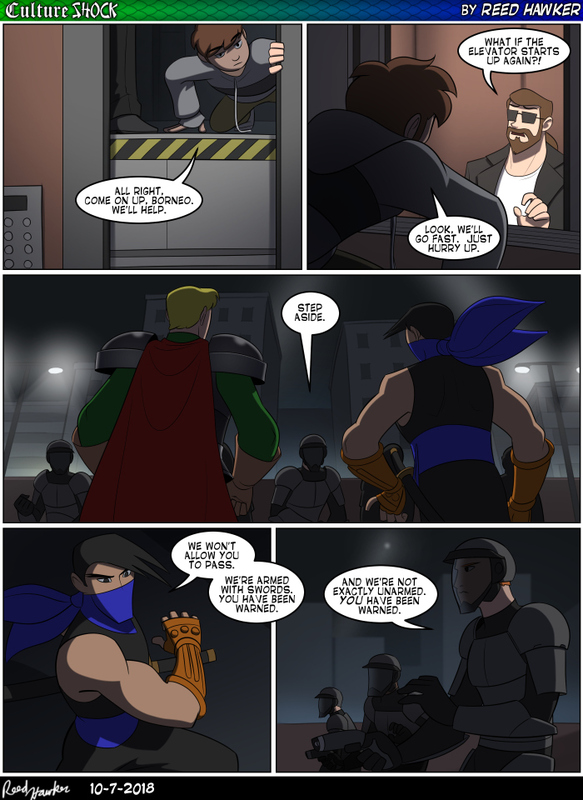 Also interesting is how outside of Tadashi everybody is armoured, and I don’t think Kevlar is conductive, is it? So that means that most of them are mostly immune to each other’s weapons (I assume the Slate Security armor can keep a sword out). Alec and Tadashi bringing swords to a…. um what kind of fight is this?